My Review: Heath MacLaren isn't looking for a long term relationship. Passionately committed to his family and their business, Heath only dates for companionship and fun--nothing more. His first marriage ended in divorce, and he's decided he's not the marrying type. Annie, a recent widow, likes and respects Heath. He's a wonderful friend and confidante, and though she can't help but feel attracted to him, she's happy with the way things are. When Heath tells Annie that he's considering entering a serious relationship, she has no choice but to face her true feelings for Heath. Can she accept Heath's decision, or will she have to give up the friendship that means so much to her? As a fan of Shirleen Davies' historical romance series, I expected to enjoy her foray into contemporary romance--and I definitely did. Though I'm having to get to know a whole new generation of MacLarens, I'm finding there are several core values that have stayed the same. The MacLarens are fiercely dedicated to family, their community, and their ranch. They work hard, play hard, and love with all their hearts. Though the characters are often flawed and sometimes get sidetracked on their path to finding true love, these are men and women I care about and root for. 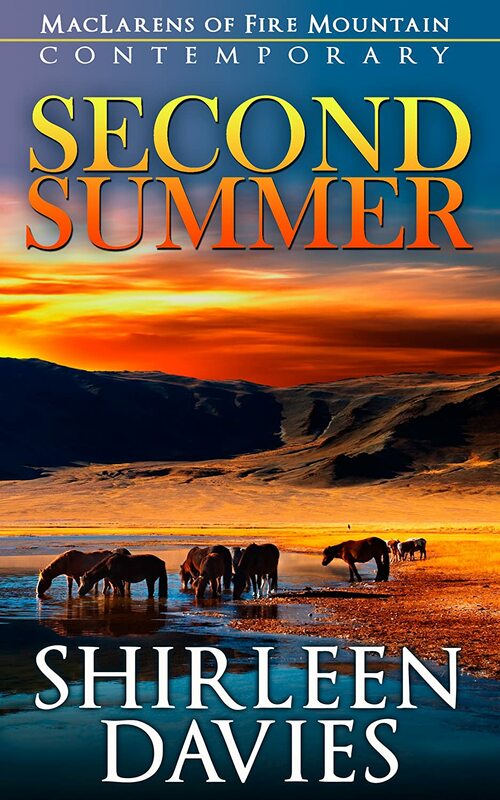 Second Summer explores romance after divorce and widowhood. The characters face modern challenges and a modern, fast-paced world, but still get back to their roots when they connect as a family. I would recommend this book, not only to fans of the historical series, but to anyone who likes good, honest characters and true romance.